A facet joint injury can greatly hinder your ability to work. Your facet joints play an important role in your everyday motor functions because of the part it plays in the extension of your back. Find out more about facet joint injuries, causes, and treatments! What are the Causes of Facet Joint Injury? Most vertebrae of the spinal column are discs about an inch or so thick that have bony protrusions from the back of the vertebrae and from the sides of the vertebrae. Wherever the bony protrusions connect to the protrusions above and below the vertebrae, the joint is called a “facet joint.” The facet joint is a relatively fixed joint that does move to some degree during flexion and extension of the back. The facet joints provide stability to the vertebral column. The facet joints are not completely immobile and are coated with a small amount of low friction cartilage. There is a tiny sack called a capsule that surrounds each joint. The capsule provides sticky lubrication for each joint. The capsule has many nerve fibers around it that sends a painful signal when the joint becomes displaced or irritated. The facet joints are present in the spine to keep the spinal column from tipping over, becoming twisted or having excessive motion. This is why facet joint injuries are so problematic for the spine. They provide about twenty percent of the twisting stability of the low back and neck. In the mid back, the facet joints limit the mobility of the back to a great degree. There is a limited amount of forward and backward flexion (about twelve degrees) and a mild amount of twisting allowed (about five degrees). Facet joints also prevent rotation of the vertebral column to a great degree. In addition, facet joints are necessary to prevent spondylolisthesis, which is forward slippage of one vertebra upon another. When this injury happens, the spinal canal gets compromised and there can be problems with pinching of the spinal cord. When the facet joints become inflamed or out of place, the nearby muscles tend to go into spasm. The back or neck can lose their postures so the neck is tilted to one side or the back is crooked. This is where physical therapy or chiropractic come into play, to put the facet joint back into place and begin to heal the pain. 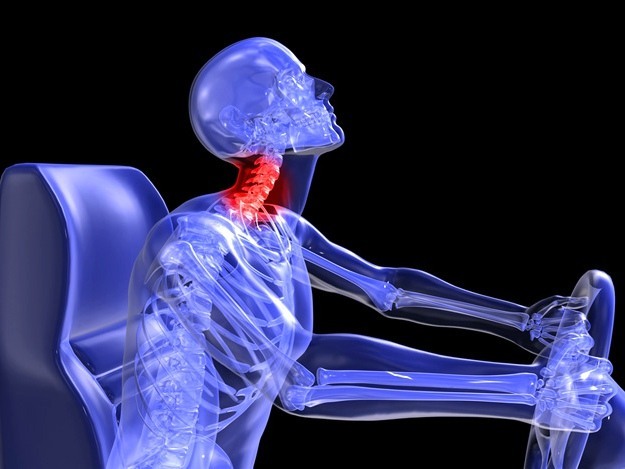 Facet joint injuries can happen in a whiplash injury to the neck. The facets can become torn away from one another. The cartilage can be injured, resulting in pain and inflammation. The facet joint can also be dislocated, which requires chiropractic or sometimes surgery to replace in its proper position. The sudden onset of lumbar or cervical pain. The pain can go away if the facet joint spontaneously goes back into position, but it can go out again with the slightest provocation like turning the head or twisting the back. There can be point tenderness at the site of the inflamed facet joints and there is often “guarding,” which is a loss of mobility due to a lack of spinal muscle flexibility in the affected area. Pain will be worse when leaning backward and better when leaning forward. In the lower back, the pain will radiate from the back to the buttocks and stops in the back of the thigh. It rarely progresses to below the knee. In the case of a cervical facet joint issue, there might be neck pain and back pain. Some have found the pain to radiate from the neck onto the shoulders or upper back. It can spread down part of the arm but rarely goes as far as the elbow. If the pain is in the lumbar area, pain is noticeable when standing but is worse when sitting, especially when riding in a car. There tends to be a great deal of muscle spasm that fatigues the muscles, wears them out and causes spasm all over again. A motor vehicle accident, specifically in cases of whiplash. A motorcycle accident can cause cervical or lumbar facet joint injuries. Being tackled in football or struck in the face can cause the facet joint to pop out of place and dislocate. Older people can suffer wear and tear on the cartilage of the facet joints. This can cause the facet joint cartilage to break down and for the bone to rub on bone. This creates a lot of inflammation in and around the joint so that the pain is chronic with muscle spasm around the joints that are affected by the osteoarthritis. Risk factors for those involved in acute facet joint injury are those who suffer from whiplash in a motorcycle or motor vehicle injury. Certain sports players, like football, soccer, and hockey players are at higher risk for getting a facet joint injury. Chronic pain in the facet joints usually happens in older individuals or in individuals who had to do a lot of heavy lifting or other heavy work in their jobs. A physical examination can identify point tenderness in the area of damage to the facet joint. Spasms in the attached muscles can be felt. Patients can be asked about any shooting or constant pain in the arm, trunk or leg, depending on the site of the facet joint injury. Plain films may show areas of separation or decreased joint space in the facet joints. The usual plain films done are an anterior/posterior view, a lateral or side view, and an oblique view. Sometimes, these are the only x-ray diagnostics that need to be done. They can be done in a doctor’s office or chiropractor’s office. A CT scan of the spine can show a great deal of detail about the facet joint injury than a plain film x-ray can. The images received from a CT scan are cross-sectional and show fine detail of these small joints. It is a test that can show detail involving the vertebrae, nerves, and bone so that even minor injuries to the facet joint can be seen. An MRI scan can be used, but it doesn’t show the kind of detail of the facet joints as does the CT scan of the spine. It can, however, show the detail of the discs so if there is a suggestion of a spinal disc injury, the MRI can detect that. Sometimes both a CT scan and an MRI scan need to be done to identify complex spinal injuries. However, one of the best tests for facet joint injury is the facet joint blocks or facet joint injections. Contrast x-ray dye, local anesthetic, and hydrocortisone are combined in an injection placed directly into the joint space itself. X-rays are taken to see what happens to the dye within the joint space, while the hydrocortisone takes care of any inflammation in the area. The local anesthetic is practically a diagnostic because, if there is increased pain after facet joint injections, the facet joint is the likely cause of the problem. Facet joint pain can be chronic or recurring, showing up with the slightest movement in the wrong direction. This is why temporary relief is needed for acute flare-ups and long-term treatment is needed to prevent flare-ups or to treat chronic pain. Treatment of facet joint injury is usually nonsurgical, although in unusual cases, surgery might be attempted. Nonsurgical treatment can be done in physical therapy or through the use of chiropractic. There are facet joint pain exercises that can be done to strengthen the back and prevent spasms of pain. Good posture is also important and this can be taught in physical therapy. Things like pulling the car seat forward when driving or putting one foot up on a ledge when standing for long periods can take the pressure off and do wonders for a facet joint injury. There is a sitting posture called the pelvic tilt that can be practiced and works for lumbar facet joint injuries. Heat, through the use of a hot water bottle, heat wraps or a hot shower can ease the pain of this disorder as can ice packs to ease inflammation. They can be used during the most painful episodes of this problem. You may need to cut back on long morning commutes that put pressure on the facet joints of the lower spine and frequent breaks to take a rest might be necessary. You can also use nonsteroidal anti-inflammatory medications or NSAIDs to ease pain and inflammation. These include Advil or Motrin (ibuprofen) and Aleve (naproxen). There are prescription medications called Cox-2 inhibitors like Celebrex that can ease the inflammation of facet joint injuries. Chiropractic manipulation often puts the facet joint back into proper alignment, at least for the time being. These manipulations can be used for exacerbations of the pain of facet joint injury along with physical therapy and NSAIDs to keep exacerbations to a minimum. If the facet joint injury is in the neck, a restraining collar might bring relief by preventing the flexion and extension of the neck. Sleeping with a supportive pillow for the neck helps prevent flare-ups of cervical facet joint problems. Using a pile of pillows to permanently flex the neck is not a good idea. Sometimes, lasting relief is important to have. Doctors can do this through the destruction of the small nerve endings that supply the joints and other surgical options. An electrified hot probe or a freezing probe can be placed on the nerves under x-ray guidance and can destroy the nerves. If the bones are seriously injured with degeneration of one or both bones involving the joint, the surgeon may have to do a bony fusion. 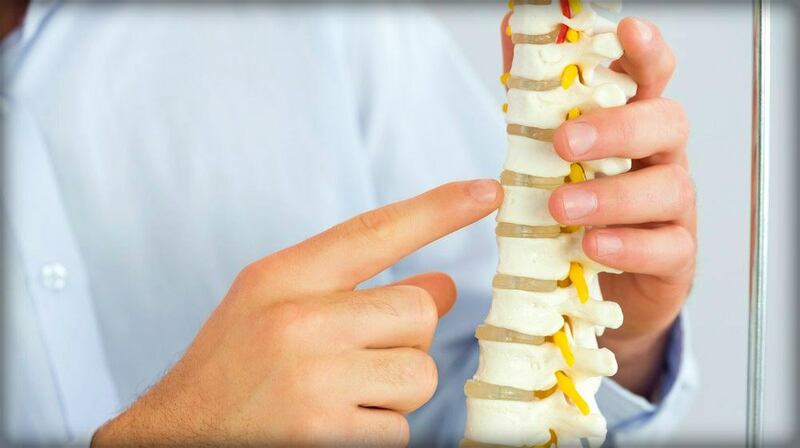 It adequately addresses any facet joint problem that might be associated with a diseased disc. There will be no mobility of the joint, but it should be considerably less painful. While bone fusion is a radical choice, it may be the only thing allowing a person with terrible ongoing joint pain to get busy with activities of daily living. Another surgery rarely done is one in which the entire facet joint is removed. The vertebrae are fused so that there is no degeneration seen when the joint is left in the body. In some cases, the doctor or chiropractor is able to keep the facet joint in place and ease the inflammation causing the discomfort of a facet joint injury. The pain goes away and the individual is considered cured. In most cases, however, a sudden injury to the facet joint damages the cartilage within the joint and injures the supporting ligaments so the patient has recurrent episodes of dislocation of the facet joint. This causes recurrent spasm of the nearby muscles and the neck or lower back is stiff and painful. It ends up being a cyclical problem with flare-ups occurring every few weeks to every few months that need ongoing medical or chiropractic care. Eventually, there is a lot of degeneration of the cartilage and bone in the affected facet joint(s) resulting in chronic pain and disability in the neck or lumbar spine, depending on the site of the injury. I'm Ed Smith, a Sacramento personal injury lawyer. As discussed above, facet joint pain can result from high energy trauma such as experienced in some sports and car accidents. If you have experienced persistent back pain after suffering an injury due to someone else's negligence, give me a call today for free and friendly advice. You may be able to receive compensation for your pain and suffering. You can reach me at 916.921.6400 or toll-free at (800) 404-5400. Watch this video from Atlantic Spine Center to find out more about facet joint syndrome and injury! Facet joint injuries can be very painful and stop you from working. If you experience any of its symptoms, it’s best to set an appointment with your doctor for a full diagnosis. Then seek treatment as soon as possible to immediately begin your facet joint injury healing time.